The MUSIC Group today announced the appointment of Nigel Beaumont as Head of its new Professional Division, overseeing all aspects of the company's MIDAS, KLARK TEKNIK and TURBOSOUND brands worldwide. Beaumont retains his role as Senior Vice President for Operations that he has held since joining the MUSIC Group in 2011. The appointment is effective March 1, 2013. CEO Uli Behringer commented, "Over the past two years, Nigel has added tremendous value to the MUSIC Group and I am very proud of his achievements. With Nigel's profound PRO experience at Harman, I am convinced he will continue, and accelerate, the growth of the Division." Before joining the MUSIC Group, Beaumont was with the Harman Pro Division, being most recently responsible for the management of the European Operations of the Division, encompassing Soundcraft, Studer and AKG. MUSIC Group has invested massively in the growth of the PRO Division since its acquisition of MIDAS and KLARK TEKNIK in 2009. The results have been remarkable as MIDAS have grown their share of the digital console market more than three times since acquisition. 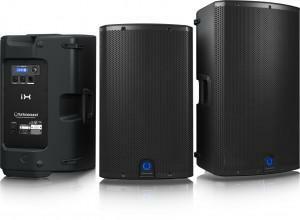 The addition of professional loudspeaker manufacturer TURBOSOUND in 2012 substantially expands the portfolio of brands aimed at the professional Touring, Sound Reinforcement and Installation markets and positions the Division to compete for global systems business. Nigel Beaumont commented: "I am very excited and honoured to assume this new role. 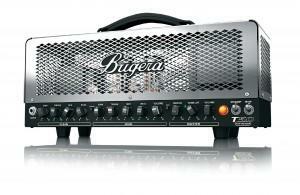 The last two years have seen a complete rejuvenation of the MIDAS and KLARK TEKNIK brands and exponential growth. With the US$20 million investment in our state-of-the-art manufacturing facility, the recent US$4 million investment in a 24,000 square foot state-of-the-art R&D facility in Manchester, and the massive expansion of the team worldwide to complement the existing exceptional talent, the PRO Division is geared toward cutting edge technology and products." 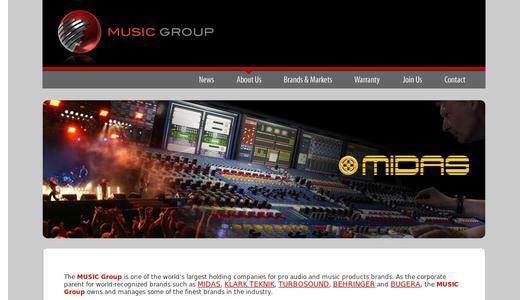 The MUSIC Group is one of the world's largest pro audio and music products companies. As the corporate parent for world-recognized brands such as MIDAS, KLARK TEKNIK, TURBOSOUND, BEHRINGER and BUGERA, the MUSIC Group owns and manages some of the finest brands in the industry. With a solid platform of technical innovation, proprietary Intellectual Property and unparalleled brand equity, MUSIC Group companies and brands lead the market in over 130 countries across the globe. MUSIC Group products are designed and developed by over 250 dedicated members of the industry's most accomplished engineering team, spanning three continents. 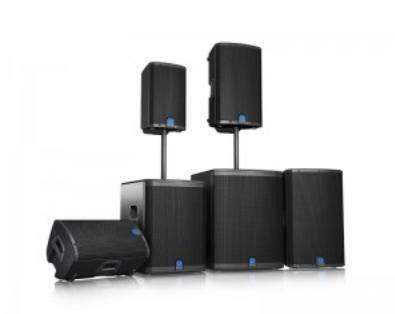 Our products are built and thoroughly quality tested in our own state-of-the-art factory MUSIC Group City where we control every aspect of the supply chain and manufacturing process. The result of this intensive commitment to quality is that MUSIC Group products are trusted by millions of users every day to produce and perform to exacting specifications and tolerances. MUSIC Group products can be found in professional and project recording studios, video and broadcast suites, post-production facilities, sound reinforcement applications including houses of worship, stadiums, nightclubs, retail locations and on major musical concert tours. For more information, please visit www.MUSIC-Group.com.